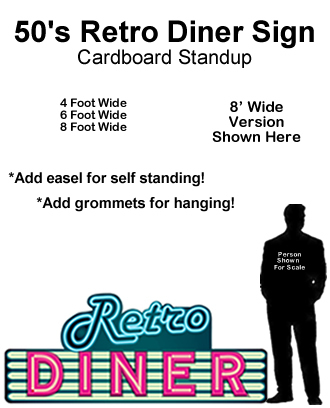 Record Cardboard Cutout Standup Prop - Dino Rentos Studios, INC. 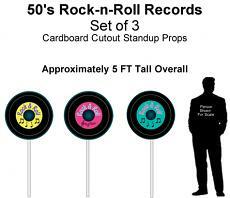 This Record Cardboard Cutout Standup Prop is great for any retro or music display or production! Also great as a window display! 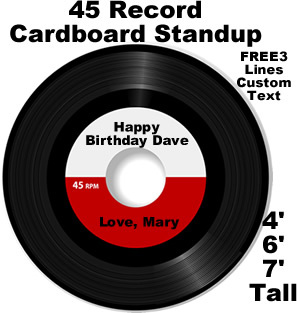 Order in 4 foot, 6 foot or 7 foot size. 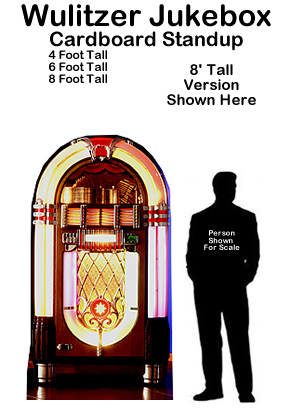 Call us for custom sizes. Comes with 3 lines of custom text. Enter your custom text below.